David Weston was born in London and educated at Alleyn's School Dulwich where he was taught by Michael Croft and became a founder-member of the National Youth Theatre. After National Service, where he was commissioned in the Royal Artillery, he won a scholarship to RADA. 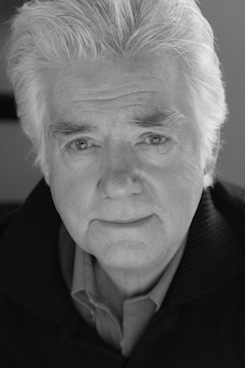 He has been a working actor for more than fifty years, doing everything from starring in Hollywood films, many seasons at the RSC and the National, appearing in twenty nine of Shakespeare's plays - to Eastenders and Doctor Who. His first book, Covering McKellen, described as 'Hugely enjoyable' by the Daily Telegraph and 'Salty, evocative and informative' by the Daily Mail, won the Theatre Book of the Year Prize for 2011. Dodger - Down Under, his first novel, follows the adventures of Jack Dawkins, aka the Artful Dodger, following his transportation to Australia. David lives in Pimlico with his wife and dotes on four grandchildren, a cocker spaniel and Chelsea FC. 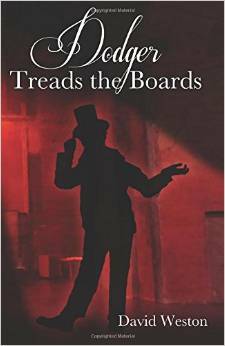 David Weston’s Dodger Treads the Boards had a great review in the Daily Mail this weekend. David Weston’s Covering Shakespeare has been named Best Theatre Memoir of 2014 by Theatre In Wales. David Weston’s Covering Shakespeare got a terrific two-page review in the Mail on Sunday this weekend. David Weston’s new novel Dodger - Down Under has been selected as part of Amazon’s Summer Sale, and is available for just 99p until the end of August. 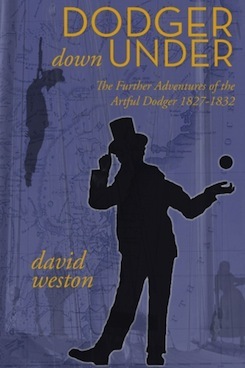 David Weston’s new novel, the ‘delightful Dickensian pastiche’ Dodger Down Under, is reviewed in today’s Mail on Sunday.